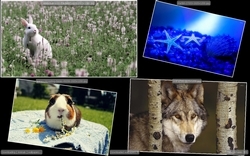 Endless Slideshow Screensaver is free and unique desktop screensaver for Windows. 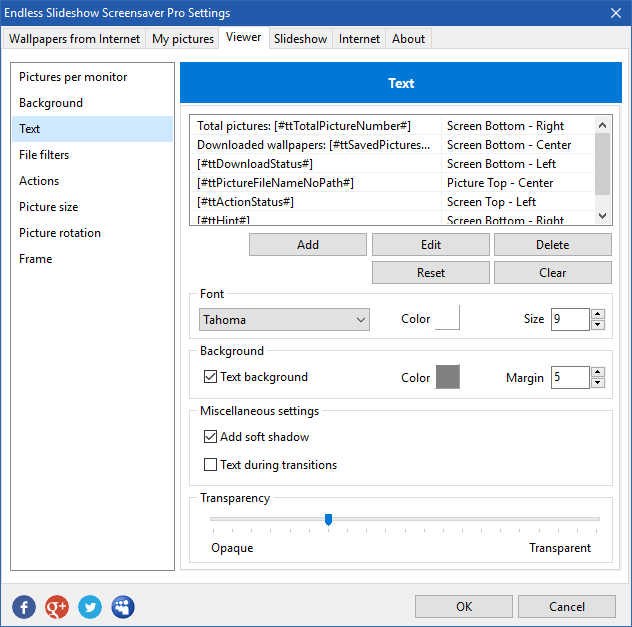 Just like any other slideshow screensaver out there, it can show photos from your hard disk or local network, shrink or enlarge photos to fit your screen, automatically rotate photos using EXIF data. Also it will let you pause and resume the slideshow, view next or previous photo, set current photo as desktop background and perform other useful actions with your keyboard. But what if you're tired of looking at the same photos all the time? Would you like your screensaver show fresh high quality desktop wallpapers every time you turn it on? Endless Slideshow Screensaver can do it! And it makes this screensaver really unique! 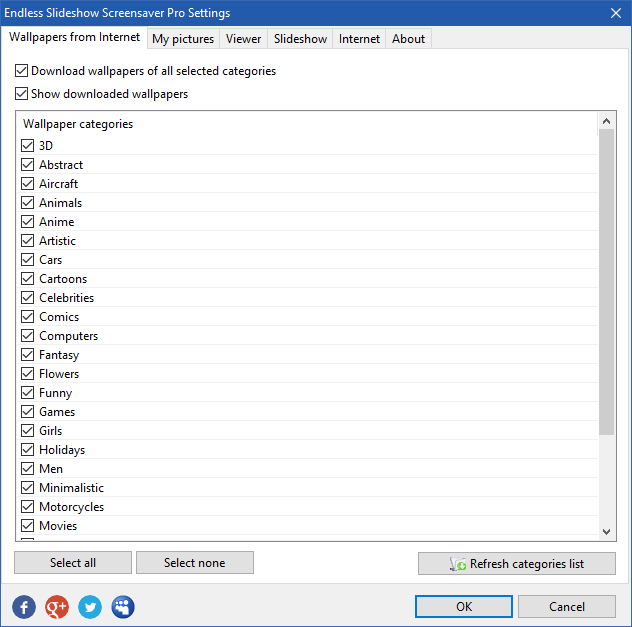 Simply choose your favorite wallpaper categories from the list of more than 20 and this desktop screensaver will automatically find, download and show new wallpapers every day. 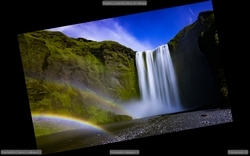 New version of Endless Slideshow Screensaver was released recently. The major improvement in this release is the possibility to display almost any picture information anywhere on the screen during the slideshow: picture file name, original size in pixels, any EXIF data and so on. You can easily configure text font, size, color, add optional background box, select the opacity level or add soft shadow. Another cool new feature of this desktop screensaver allows you to rotate pictures in the slideshow using random angle. You just have to set the maximum rotation angle value (the default is 15 degrees) and view your photos like never before! And best of all - this screensaver is absolutely free and the number of photos in the slideshow is not limited! So, don't wait, download your copy now and start enjoying! Create and publish beautiful web photo galleries with just a few mouse clicks!